The Pyrenean Shepherd has two varieties, the rough and smooth face. The rough has longer fur, while the smooth has shorter, particularly on the muzzle. They traditionally were used to herd sheep and other livestock, however today they are becoming popular companions. The Pyrenean Shepherd hails from the Pyrenees Mountains in southern France, where it has existed for centuries. They often worked with the Great Pyrenees, who would guard the sheep they moved. 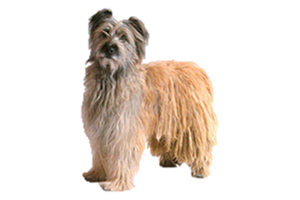 Their actual origin is unknown, due largely to their age as well as lack of records, but they may have descended from the Briard. During WWI they earned their stripes and many dogs lost their lives aiding soldiers. They were used as couriers and as search and rescue dogs. Is the Pyrenean Shepherd Right for You?